You may get the impression from the title of the book, “The Ultimate Hiker’s Gear Guide,” that this is not a paddling post. Nothing could be further from the truth. The logic behind getting this book was the comment I’ve heard frequently about paddling/camping being nothing more than backpacking on the water. Canoes, especially, allow for a few comfort items to be toted along, but some of us carry that a bit far. Actually, I never went overboard on comfort stuff as much as things that I felt might be needed in an emergency. Short of a nuclear blast, there has never been anything that anyone would need on an expedition trip that I wouldn’t have at least one of, or maybe several. The result has made my canoe vastly overweight. 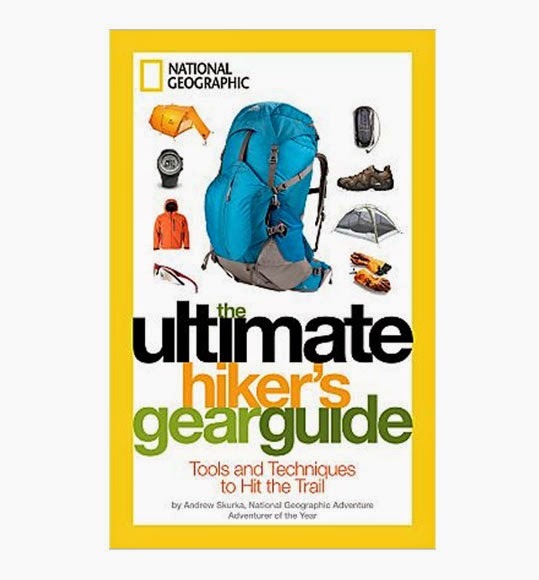 The book, again, is “The Ultimate Hiker’s Gear Guide,” by Andrew Skurka. (pub. by National Geographic, 2012, 217 pp. plus glossary and index) He describes his learning curve, where he started, and how he got where he is now. The list of things he describes as terrible mistakes reads like my packing list. He doesn’t advocate ultra-light, masochistic travel, but has turned packing and provisioning into a science. His full pack for an extended expedition, like the 2,200-mile Appalachian Trail, weighs 15-pounds minus food and water. As evidence that this can be done, Larry Hoff, an experienced Kruger distance paddler and biker, carried a 7-pound pack when he biked the entire circumference of the United States. Having paddled the width of the U.S. and done many Watertribe events, he undoubtedly has carried his knowledge onto the water. Skurka says it comes down to weight being the inverse of pleasure. For us paddlers, that means the heavier we are, the more water we have to push aside, making every stroke harder, the boat slower, making and breaking camp harder, and making a portage something between agony and impossible. Skurka knows his stuff. He has been named Adventurer of the Year by Outside Magazine and National Geographic Adventure Magazine, Person of the Year by Backpacker Magazine, has hiked over 30,000 miles over the Appalachian Trail, Pacific Crest Trail, Continental Divide Trail, 4,700 miles on an Alaska-Yukon Expedition, and many others. Each piece of gear is examined, compared with possible alternatives, giving pros and cons of each, and how to pack on a budget. He provides packing lists for various sample trips like desert Southwest, Eastern forest, Western mountains, rafting, and Northern winters. On You Tube, you can also find a number of his instructional videos. I got the book through the library exchange program, and typed copious notes for my own use. Listed at retail for $19.95, it is also a book worth keeping for reference. At the very least, you will find it an eye-opening, informative, and enjoyable read.